Butterfly.. Butterfly happy all day, Butterfly.. Butterfly fly fly away..
Can you guess what are we going to make for today activity? Yeess.. We’re making a Butterfly. So here’s what I did. I made a butterfly shape and cut it out from the white construction paper. 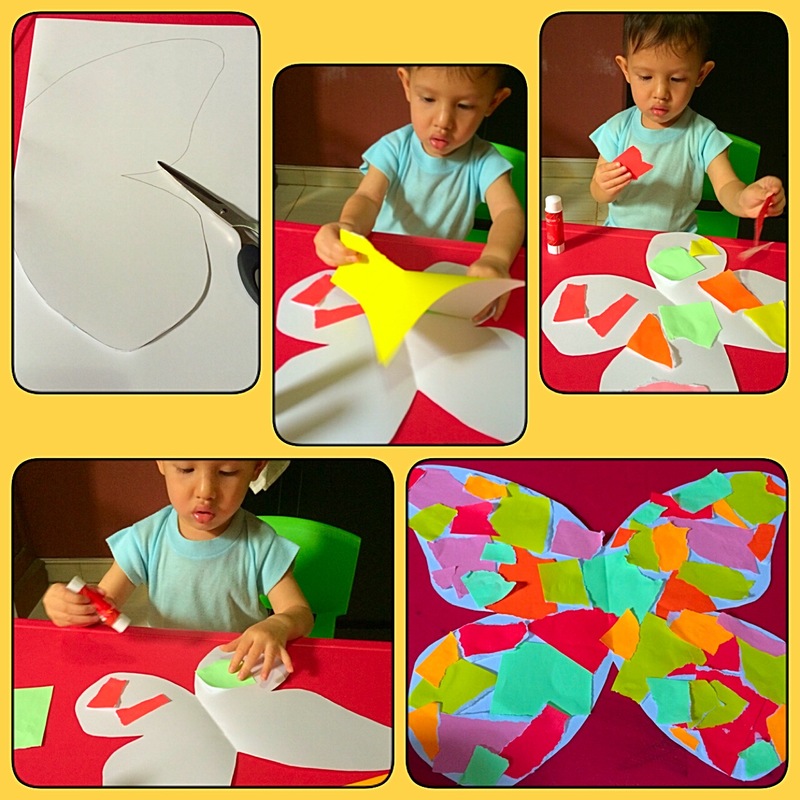 And then I gave my son the colored origami paper for him to tear, glue and stick it on the butterfly shape. Both tearing and sticking the paper are great ways to strengthen fine motor skills. Some kids may find tearing the paper a bit challenging. But yet this is a simple and fun craft to do and will keep them busy for a bit. My son enjoyed this activity very much.